Glow Tips with help from L’Oreal Paris! As we count backwards for Christmas and New Year’s Eve, I invite you to start a programme of skin glow immediately with the help of some L’Oréal Paris products. Follow simple and effective moves to help you win the impressions! Twice a week, apply one of L’Oréal Paris’s Sugar Scrubs to remove dead cells and enhance the brightness of your skin. Ideal for our goal at this time is the Glow Scrub – if you have very dry skin, select Nourish, and if you have oily, choose Clearing. Let me remind you that the Sugar Scrubs contain three types of sugar and other natural ingredients, and they are also suitable for your lips! Twice a week use one of L’Oréal Paris’s Pure Clay Masks. I also recommend Glow Mask in this case, because we need stronger brightness, but you can also use whatever your skin needs with the “multi masking” method, applying a different mask locally to different parts of the face. L’Oréal Paris Pure Clay Masks contain 3 kinds of natural clay for clean skin as well as other natural ingredients. Once the masks are dry, we remove them with lukewarm water. 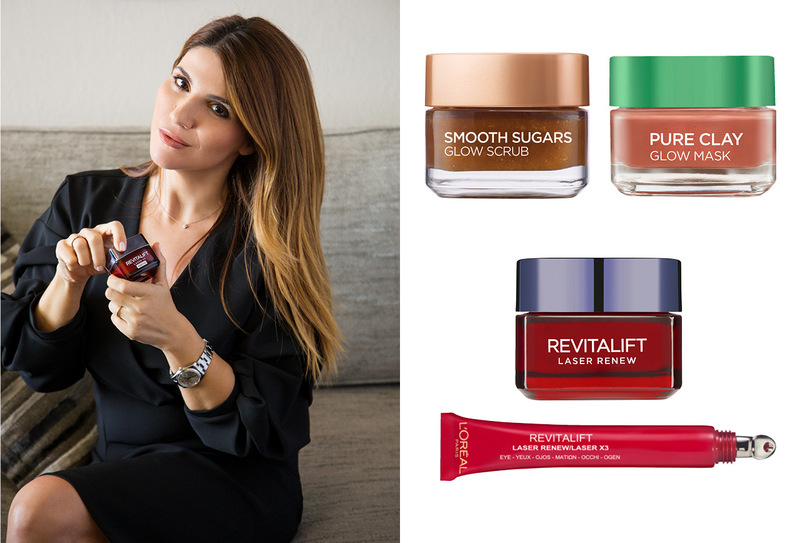 Every day you should not omit the L’Oréal Paris’s Revitalift Laser Day and Eye Cream, which thanks to their enhanced composition with hyaluronic acid and pro-xylane reconstruct the skin and restore its firmness while smoothing the wrinkles. If you’re using the entire Revitalift Laser series, which also includes the intensive action serum (especially useful at this time) and the night cream, the results will be even more impressive. Do not forget that we are talking about L’Oréal Paris’s No1 anti-aging series. In addition, cleanse your skin thoroughly in the morning and evening before any other care. Sleep at least 7-8 hours every night and go to bed early (long nights follow soon …) Boost your diet with water, fresh fruits and seasonal vegetables and do not miss giving yourself the ability to relax through exercise like brisk walking for 45 minutes 2-3 times a week! will look more radiant than ever before!